One European peninsula, three neighboring countries, three nations with similar languages and similar histories...On the other hand, is similarity that significant? Do we overlook the multitude of diversity which characterizes us? Is that what keeps us divided? Can we appreciate it enough and avoid getting drowned in the sea of uniformity? Let's learn to discover diversity around and within us, exchange, adopt and respect differences which surround us and enrich our world. Let's strengthen good-neighboring relations and communicate in different languages but with the same heart. "Share our similarities, celebrate our differences!" "Share our similarities, celebrate our differences."
. Getting connected with newly-acquainted cultures by overcoming prejudices and accepting differences. 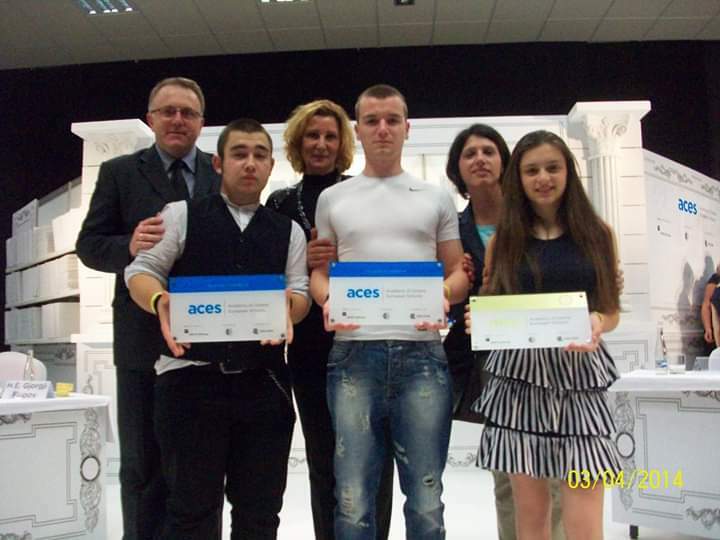 The aims of our project are in the most direct relation with the overall theme of the current aces cycle. That relation is reflected in the intention to directly train our students to be able to recognize their own and other people's personal and cultural characteristics, to be able to perceive differences between values, attitudes and behavior which are characteristic for people belonging to other cultures and finally to be able to perceive similarities in differences and common civilization interest of living together on the same, European continent. The focus is on people with different cultures, who are connected with their turbulent history and living together in the same region. For children who participate in the project, it is relevant to be able to create their own future in cooperation with neighboring countries, without repeating mistakes which previous generations made, and to choose different approaches in their relationship toward others and themselves in the spirit of European integration. 2. Scrapbooks - containing photos of activities, messages, gained knowledge, conclusions, impressions and descriptions: WHAT DID WE THINK ABOUT ONE ANOTHER AT THE BEGINNING AND WHAT DO WE THINK NOW AT THE END OF THE PROJECT? 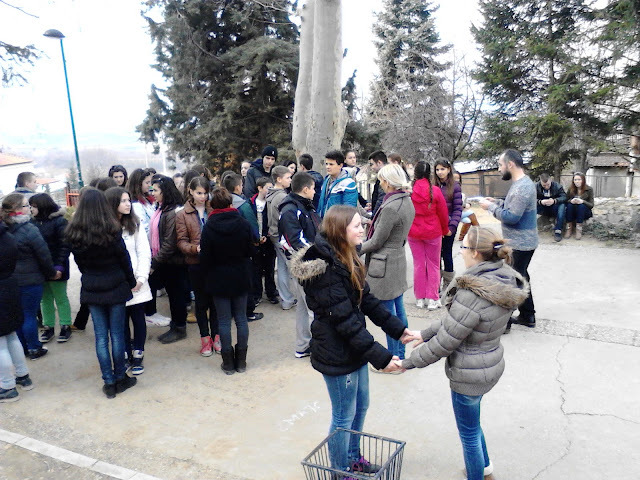 The schools started developing the partnership by exchanging ideas and proposals on the theme of the project. Coordinators have been constantly in contact by email, trying to develop a quality project and to finish it on time. During further cooperation, consultations will be held simultaneously: by email, phone, blog and facebook page (where the students will have opportunity to exchange ideas and supplement each other regarding the common topic). Creativity of approaches and methods used can be seen through implementation of IT technologies, theatre workshop and creative expressions, involvement of parents in the project, distance learning, active learning, observational learning, discovery learning, peer learning, inclusive approach and psychological workshop. Responsibilities for project implementation are equally distributed among partner schools. We jointly created the project and its activities through exchange of ideas and proposals. The coordinating school shaped the final version of the project, which was adopted by partner schools. Majority of joint activities will be implemented at meetings (visits to each participating school); meantime, both joint and separate activities will be carried out at each participating school. Apart from English, mother tongues of partner schools - Macedonian, Bulgarian and Serbian, as well as French will be used as working languages. How many INDIRECT participants and oher groups or institutions do you expect to reach with the activities in your project and how will they be involved: As indirect participants will be involved: greater number of students of all three schools (they will be indirectly involved in the project through students' groups activities, sports activities, song contest, national dance workshop, school performances...), parents (who are accommodating guest students in their families), teachers associates, local companies (providing services - transport, printing, making of photos, video records, other services and space) local government ( using their data base, providing information, financial aid), relevant Ministries (using their data base, providing information, brochures and other publications); Media (promotion of the project), Embassies of partner countries (providing information, brochures and other publications). Which school subjects is your project associated with? Does your project foresee any extracurricular activities? Primary school "Vasa Čarapić" is situated in the suburbs of Belgrade, at the foot of mountain Avala. It has 750 students, aged 6-15. Lessons are held at central school and two separate units. In central school, there is also one specialized class for students with special needs. The total number of classes is 35. Our students belong to different ethnic groups. They learn English and French. Our students have taken part and won awards both at state and international contests. They have opportunity to show and develop their capacities. We organize exhibitions, school performances, concerts, literary meetings, promotions of our own books (collections of award-winning students' work), sports tournaments. 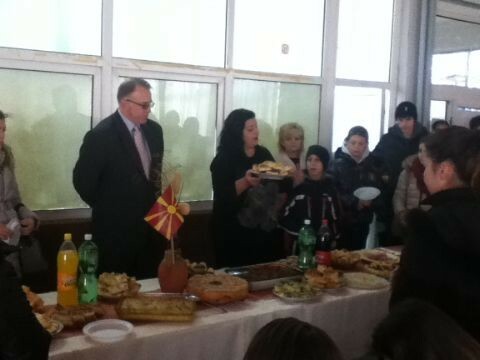 The school has participated in many projects from local to international level. 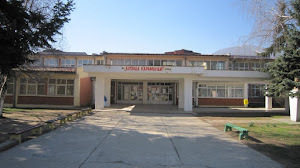 OU Elpida Karamandi Bitola is a primary school with students from 6 to 14 years of age.The educational activities are implemented for students from first to nine grade classes with 15 classes (from 1 to 5 grade) and 12 classes (from 6 to 8 grade), a total of 27classes. Within the school work two regional schools in the villages Capari and Dolenci. Our school has 710 students. All teachers are adequately educated. We inspire our students to reach their unique potential through hard work and responsible behavior.We take part in many competitions in different school subjects and achieve high results. 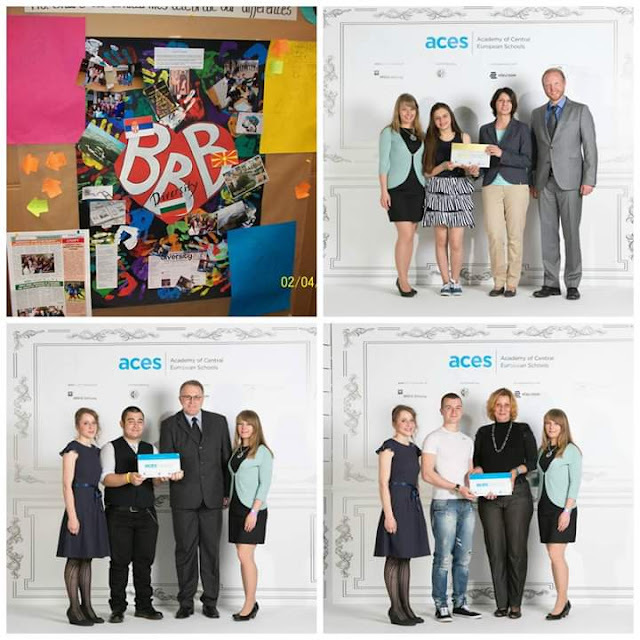 We organize exhibitions,open days, publish a school newspaper, concerts,school plays,sport games. Our school takes part in many projects of the Ministry of Education and Science of R.Macedonia, of the NGO and international organization. SOU "Dimcho Debelyanov" is located in town of Belene. It is Secondary (I - XII class) school. Learning shifts: one shift - in the morning. It has 30 classrooms, 3 laboratories, 3 multimedia studies, 2 sport grounds, 3 gymnasiums, a canteen for breakfast and lunch, and 2 classrooms for students with special needs. There are 3 classes in first grade, 2 classes in 2-8 grade, 1 class in 9-12 grades. Pupils from 1 to 4 grades have additional tutor lessons in the afternoon. Comprehensive school-teaches all humanitarian subjects, Art, Music, Sports, Techniques, Home studies, Informatics technology, Informatics study, English, French and Russian. 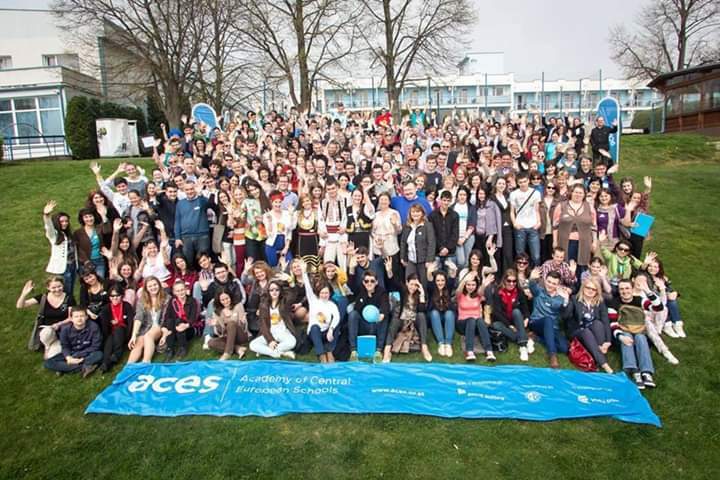 The school has participated in many national and international projects. The students are actively involved in the selection of activities, their content, implementation and evaluation of activities. Partner schools will continuously communicate by email, phone, blog and facebook page. Responsibilities for project implementation are equally distributed among partner schools. We jointly created the project and its activities through exchange of ideas and proposals. Majority of joint activities will be implemented at meetings (visits to each participating school), and the rest will be carried out at each participating school. How do you intend to evaluate the progress of the project and its final results? - final products - video records of all activities; documentary products; scrapbooks -handmade, theatre show "Hip hop soldier's cap" -the play will continue to be performed!